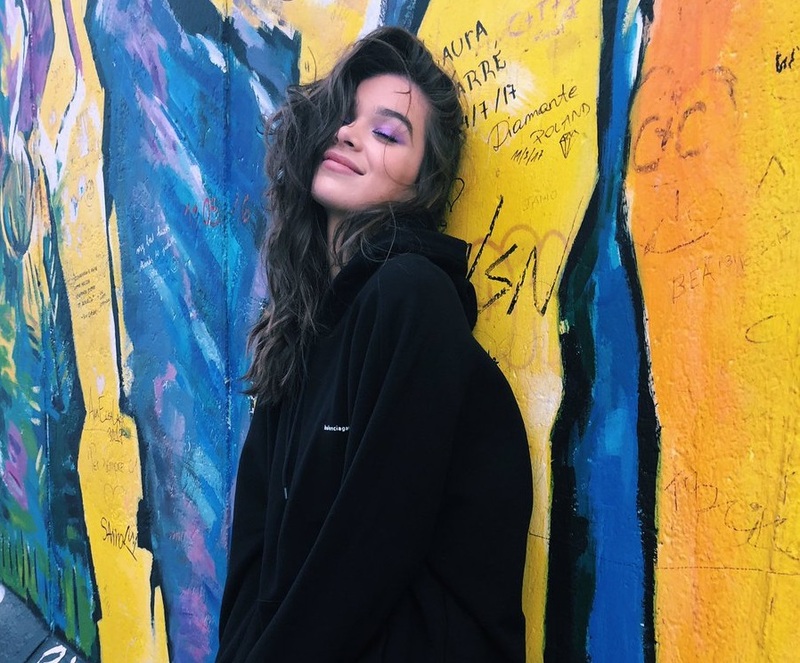 American recording artist Hailee Steinfeld has teamed with Norwegian singer/songwriter Caroline Ailin and British songwriting/production team Peter Kelleher, Benjamin Kohn and Thomas Barnes of TMS for a new collaboration. Ailin’s songwriting resume boasts works with Dua Lipa (“New Rules”), Tiffany Hwang (“Talk”), Olivia Holt (“History”), Aanysa (“Burn Break Crash”), Rachel Platten (“Hey Hey Hallelujah”), Grades (“Crocodile Tears”), JKay (“Danger”), Alex Adair (“Casual”) and Tulecco (“Creative”). As mentioned in earlier posts, Steinfeld’s upcoming debut album – featuring promotional singles “Let Me Go” and “Most Girls” – is expected to arrive later this year via Universal Music Group / Republic Records. The still-untitled collection reportedly delivers further alliances with Noah Breakfast, Asia Whiteacre, Leland, Allie X, Hayley Warner, Farrago, Ali Tamposi, Brandon Skeie, Kathryn Ostenberg, BURNS, Albin Nedler, Tayla Parx, Whitney Phillips, Rami Yacoub, Julia Michaels, and Justin Tranter. Watch the music video for “Capital Letters” below. 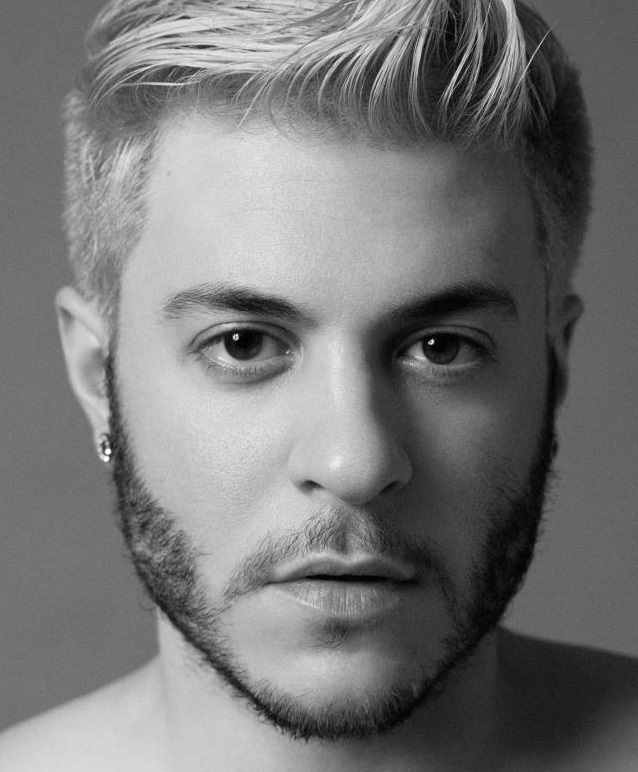 American singer/songwriter Ferras Alqaisi, known mononymously as Ferras, had delivered his new promotional single online. “Coming Back Around” is now available via iTunes, Apple Music, Amazon, Google Play, Tidal and all other digital streaming platforms. The track was co-written by Ferras alongside Sarah Hudson (Marina Diamandis, Ella Henderson), Alexandra “Allie X” Hughes (Troye Sivan, Lea Michele) and Scott “Babydaddy” Hoffman (Tinashe, Fantasia Barrino). Production duties on “Coming Back Around” were handled by Greg Wells, whose extensive resume boasts additional works with Keith Urban (“Wasted Time”), Dua Lipa (“Garden”), Kandace Springs (“Too Good to Last”), Cosima (“Supernova”) and Kelsea Ballerini (“Machine Heart”). As mentioned in various media outlets, Ferras’ upcoming project – featuring previous single “Medicine” – is expected to arrive later this year via Katy Perry-founded label Unsub Records in partnership with Capitol Records. Stream the audio clip for “Coming Back Around” below. American singer, songwriter, and actress Hailee Steinfeld has drafted record producer Noah Breakfast for a new collaboration. Born Noah Beresin, the former member of Chiddy Bang previously helmed songs for Christine and the Queens (“No Harm is Done”), Tei Shi (“Keep Running”), Becky Hill (“Back to My Love”), Santigold (“Walking in a Circle”), Ty Dolla $ign (“Sitting Pretty”), Big Sean (“Light it Up”), Ellie Goulding (“Tessellate”), Tory Lanez (“Henny in Hand”) and Brooke Candy (“Opulence”). Noah Breakfast’s resume boasts additional works with fellow producers and songwriters including Two Inch Punch, Asia Whiteacre, Diplo, Sia Furler, Robopop, Jesse Saint John, Sarah Aarons, DJ Dahi, Emma Davidson-Dillon, Patrik Berger, Natalie Dunn, Stint, Rostam Batmanglij, Diplo, Emily Warren, John Hill, and Sam Hollander. Meanwhile, Steinfeld’s upcoming debut album – featuring singles “Let Me Go” and “Most Girls” – is expected to arrive later this year via Republic Records. The still-untitled collection reportedly delivers further productions and songwriting alliances with Leland, Allie X, Hayley Warner, Farrago, Ali Tamposi, Brandon Skeie, Kathryn Ostenberg, BURNS, Albin Nedler, Tayla Parx, Whitney Phillips, Rami Yacoub, Julia Michaels, and Justin Tranter. Steinfeld’s current promotional single “Capital Letters” – which was co-written by Ellie Goulding, Rachel “Raye” Keen, Andrew Jackson, Ely Weisfeld, and Michael “BloodPop” Tucker – is now available via iTunes, Apple Music, Amazon, Google Play, Tidal and all other digital streaming platforms. Stream the audio clip for “Capital Letters” below. Hailee Steinfeld has released her new promotional single online. “Capital Letters” – which was written by Steinfeld alongside Ellie Goulding, Rachel “Raye” Keen, Andrew Jackson, Ely Weisfeld, and Michael “BloodPop” Tucker – is now available via iTunes and all other digital streaming outlets. The track appears on the original motion picture soundtrack “Fifty Shades Freed,” which will arrive on February 2nd via Republic Records. As mentioned in earlier posts, Steinfeld’s upcoming debut album – featuring singles “Let Me Go” and “Most Girls” – is expected to arrive later this year via Universal Music Group / Republic Records. The still-untitled collection reportedly delivers productions and songwriting alliances with Leland, Allie X, Hayley Warner, Farrago, Ali Tamposi, Brandon Skeie, Kathryn Ostenberg, BURNS, Albin Nedler, Tayla Parx, Whitney Phillips, Rami Yacoub, Julia Michaels, and Justin Tranter. 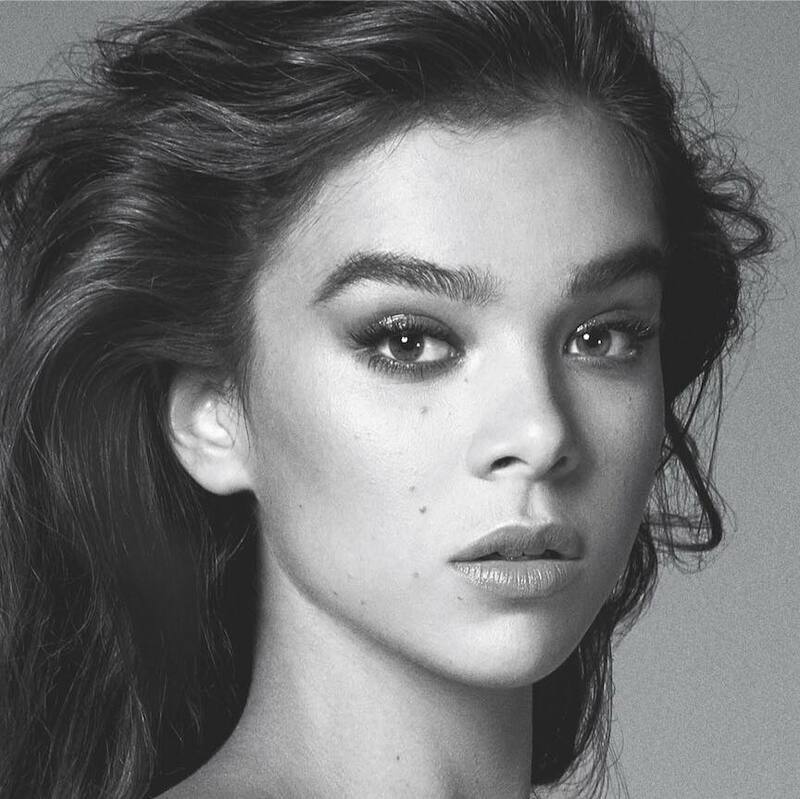 American singer, songwriter, and actress Hailee Steinfeld has teamed up with record producer BloodPop for her new song “Capital Letters,” taken from the upcoming original motion picture soundtrack “Fifty Shades Freed,” out on February 9 via iTunes and all other digital streaming outlets. Originally intended for Ellie Goulding’s upcoming fourth album, the track was written by Goulding alongside Rachel “Raye” Keen (Anne-Marie, Mabel McVey), Andrew Jackson (Dua Lipa, Alicia Keys), Ely Weisfeld (Mike Posner, Justin Bieber) and Michael “BloodPop” Tucker (Madonna, Lady GaGa). Stream the audio clip for “Let Me Go” below. Jaira Burns has premiered the music video for her new single online. The American singer/songwriter posted the visual clip for “Ugly” to her Vevo channel on Wednesday (June 28, 2017). “Ugly” was written by Alexandra “Allie X” Hughes (Lea Michele, Troye Sivan) and Brett “Leland” McLaughlin (Kat Graham, Selena Gomez) alongside the song’s producers Henry “CIRKUT” Walter (Rihanna, The Weeknd) and Mathieu “Billboard” Jomphe (Madonna, Britney Spears). As mentioned in various media outlets, Burns’ upcoming debut project is expected to arrive later this year via Interscope Records. The still-untitled collection reportedly delivers additional productions and songwriting contributions from Jonas Jeberg (Ella Eyre), Chelsea Lena (Jess Kent), Madison Love (Erik Hassle), Clare Reynolds (Jason Derulo), Dominique Vellutato (Mali-Koa), Chloe Angelides (Ariana Grande), Skyler Stonestreet (Liza Owen), Michelle Buzz (Chloe x Halle) and The Futuristics (Halsey). Watch the music video for “Ugly” below. Lea Michele has delivered her new album online. “Places” – featuring singles “Love is Alive,” “Anything’s Possible,” “Run to You” and “Getaway Car” – is now available via iTunes, Apple Music, Amazon, Google Play, Tidal and all other digital streaming platforms. The follow-up to 2014’s “Louder” delivers songwriting contributions from Ali Tamposi, Ellie Goulding, Allie X, Julia Michaels, Chantal Kreviazuk, Fransisca Hall, Anjulie Persaud, Ruth-Anne Cunningham, Chloe Angelides, MoZella, Dana Parish, Alexandra Savior, Wrabel, Tim Myers, and Michael Fitzpatrick. Michele has also worked with producers John Shanks, Toby Gad, Andrew Hollander, Jon Levine, Kyle Moorman, Jesse Shatkin, Xandy Barry, Linda Perry, Nathan Chapman, Christopher Braide, Kid Harpoon, Stephan Moccio, Afrojak, Richard “Biff” Stannard, and Ash Howes.